Cash traded fed cattle were lower this week. The five-area fed steer price for the week of May 12-May 19 averaged $131.14 for live sales, and $204.03 for dressed; respectively, down $1.49 and $4.52. Total volume sold was down 3,000 head from a week ago and up 21,000 head from last year. Feeder steer cattle and calves were mixed across the U.S. this week. Oklahoma City feeder cattle were $1.00 lower for lightweights and $1.00 higher for heavier cattle. Mississippi pasture conditions are relatively good this spring with 72% rated good or excellent, up 1% from a week ago. In Mississippi auctions, lighter weight feeders weighing 450-500 pounds were $2.50 lower than a week ago, averaging $165.00, while heavy steers were averaging $130.00, up 2.50 from last week. Live cattle futures and feeder futures were mixed this week. June live cattle were down $2.68 on the week and $31.25 lower than a year ago at $120.88, while August live cattle were down $1.50 from last week and down $33.43 from a year ago. Feeder cattle mostly higher this week with May futures up $0.85 from last Friday and down $59.30 from a year ago at $148.70 while August futures are up $0.45 on the week. Nearby corn futures are up $0.04 from a week ago at $3.94 while September futures are up $0.03. Wholesale boxed beef prices are higher compared to a week ago. Choice boxes averaged $225.72, up $12.72 from a week ago and $37.47 lower than a year ago. Select boxes ended the week with an average of $210.38, up $8.66 from last week. The choice-select spread widened from $11.28 a week ago to $15.34 this week. You can pay your MCA dues online. MCA is looking out for cattle producers in Mississippi. MCA monitors the legislative and regulatory activity in Jackson and Washington, D.C. We're working every day to influence producer legislation in a manner that benefits cattle producers. Click here to learn more. Show your MCA support by purchasing a colored beef tag for the front of your vehicle. These metal tags can be purchased for $12. Call the MCA office for more details. 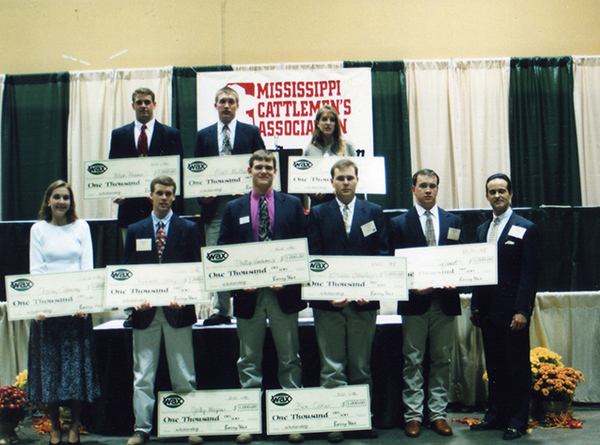 Since 1994, children and grandchildren of Mississippi Cattlemen’s Association members have received scholarships thanks to the efforts of past MCA leadership. The establishment of the Mississippi Cattlemen's Foundation not only provided a home for MCA by purchasing a building in 1996 but, it also set up endowments to provide scholarships to deserving youth. Working with The Wax Company as well as other businesses and individuals throughout the years MCA has awarded over $500,000 to MCA families for their children's college educations. 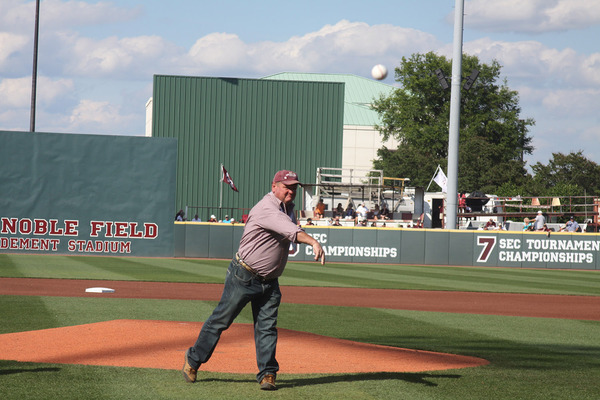 On Saturday MBC staff was in Starkville for Beef Day at Dudy Noble Field for the MSU vs Arkansas game. Trowing out the first pitch was Joe Johnson, MBC Board President. The pitch made it over the plate and was called a strike! Samples of sirloin and BEEF sausage were given out as fans came into the game. The United States Department of Agriculture’s National Agricultural Statistics Service (USDA, NASS) released their monthly Cattle on Feed report Friday afternoon (May 20, 2016). 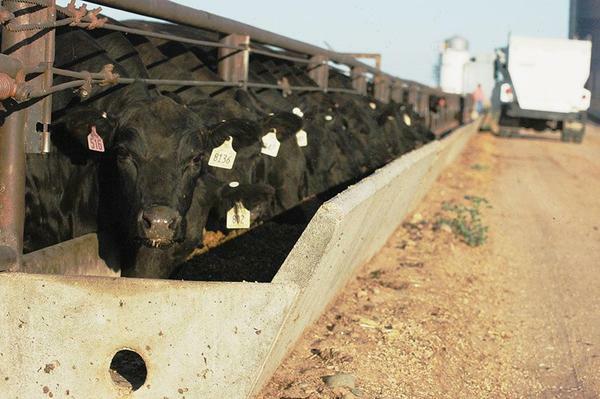 The report revealed that 10.783 million head of cattle were in U.S. feedlots with a capacity of 1,000 head or larger on May 1, 2016, up 1.34% from a year ago. Placements into feedlots during the month of April totaled 1.664 million head while marketings during the same month totaled 1.658 million head, up 7.49% and 1.16% from a year ago, respectively. Placements and the total number of cattle on feed were both well above analysts’ expectations. 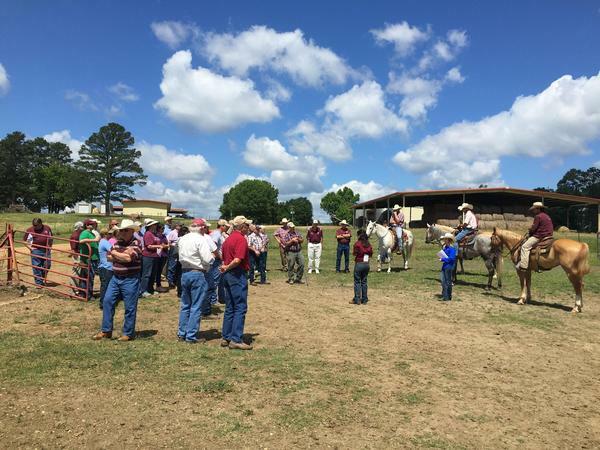 On Saturday over 40 producers were on hand for the Beef Unit Field Day at the Henry H. Leveck Animal Research Center. Researchers provided updates on research related to reproduction, eye pigmentation, and stocker cattle health and management. There were also updates on the university’s purebred and crossbred programs. 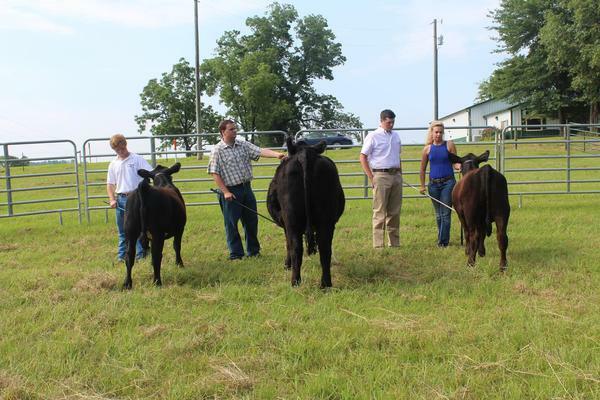 On June 3-4 the Mississippi Junior Simmental/Simbrah Association will hold a field day hosted by Fenton Farms in Ellisville, MS. The event will kick off on Friday at noon with registration and cattle check-in. The afternoon will have practices for judging, sales talk, and cattleman's quiz. Saturday will begin with showmanship at 9 a.m. followed by a junior show. 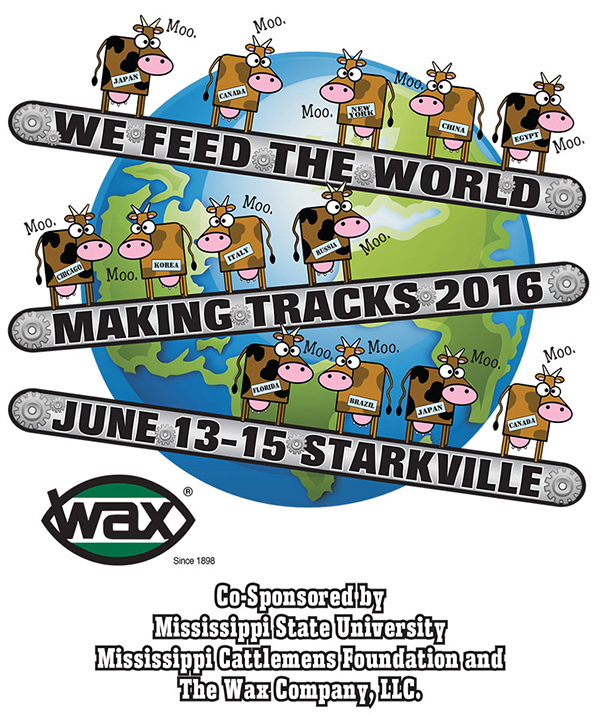 MJCA members are invited to attend the Wax Junior Leadership Camp June 13 - 15 at Mississippi State University. Click here for the Making Tracks application. There are a few spots left so please get your applications in by Wednesday, May 25th! 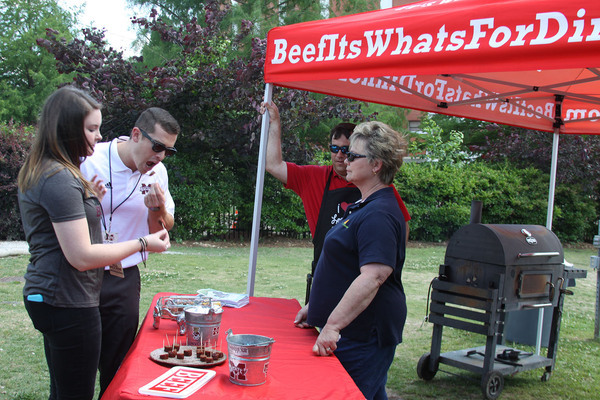 The beef checkoff’s Beef Quality Assurance (BQA) program is kicking off a Facebook photo contest on May 9, 2016. 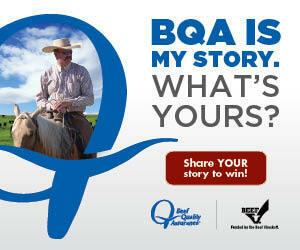 Beef and dairy producers are encouraged to enter the ‘BQA is my story, what’s yours?’ contest by sharing their BQA story in the comments of one of the four BQA contest specific posts. Each week, the BQA program will select one person as the weekly Facebook Story and Photo Contest winner to receive a BQA vest valued at $50. 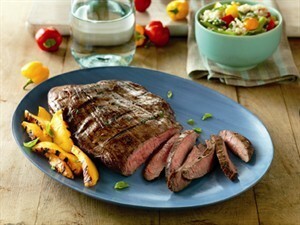 Following the contest, one of the four weekly winners will receive an Omaha Steaks package valued at $250. The grand prize winner will be announced June 13, 2016. Find the contest rules here. The Mississippi Beef Quality Assurance (MS-BQA) Program identifies areas in beef production where defects in quality occur. 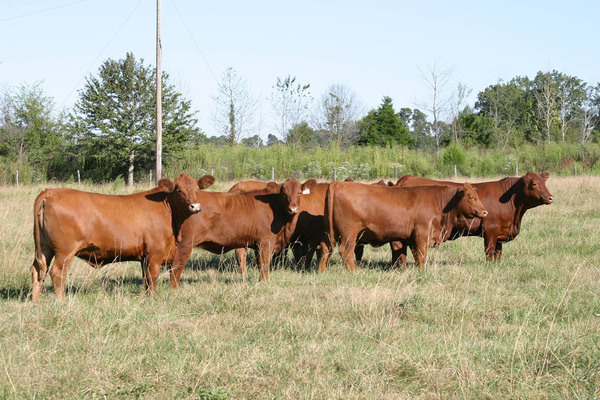 The MS-BQA Program is a cooperative effort between beef producers, veterinarians, nutritionists, and professionals from the Mississippi Cattlemen’s Association, Mississippi Farm Bureau Federation, MSU Extension Service, and MSU College of Veterinary Medicine, who believe that cattle managed under BQA guidelines will be less likely to contain a violative residue, injection-site tissue damage, or foreign metal such as broken needles. Several face to face BQA trainings are scheduled throughout the state. These meetings are being hosted in partnership with local sale barns. A certification fee of $15 is required and includes manual, vaccine cooler, and bumper sticker. Certifications begin at 6:30.